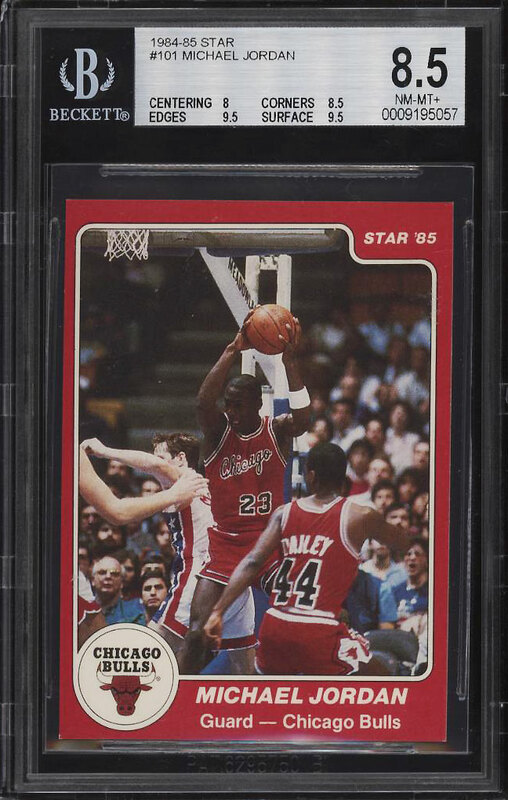 Sensational '84-85 Star Basketball Michael Jordan rookie on eBay this month. The offered 8.5 displays attributes and eye appeal which exceeds the technical assessment. The surfaces are GEM MINT with zero typical excess print present, bright color and fabulous clarity. Displays near pristine edges; a rare quality for the difficult red border issue which is known for easy chipping. All four corners are sharp and the centering shows better than the technical sub-grade. 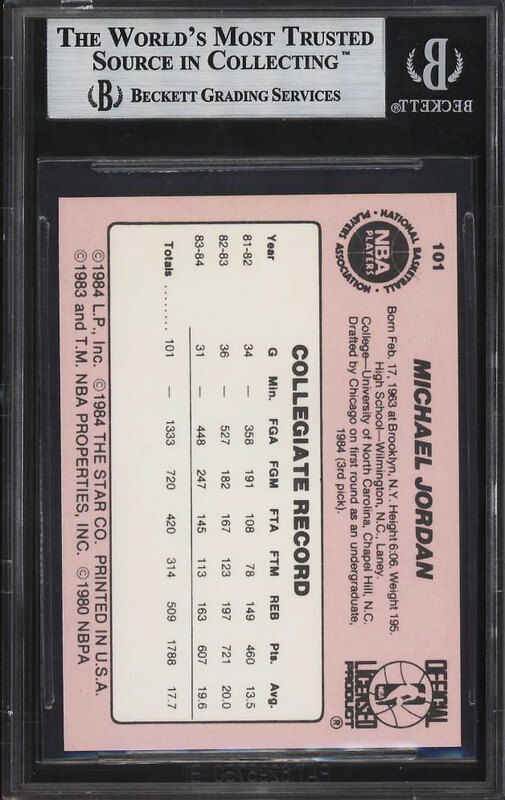 The #101 MJ rookie is easily among his most rare and desired rookie cards and represents a sound financial investment. An all around gorgeous example which commands attention. One of over 18,000 cards, lots and sets up for bid in our 6th Auction of 2018. Click on the link above to view the other PWCC auction lots.